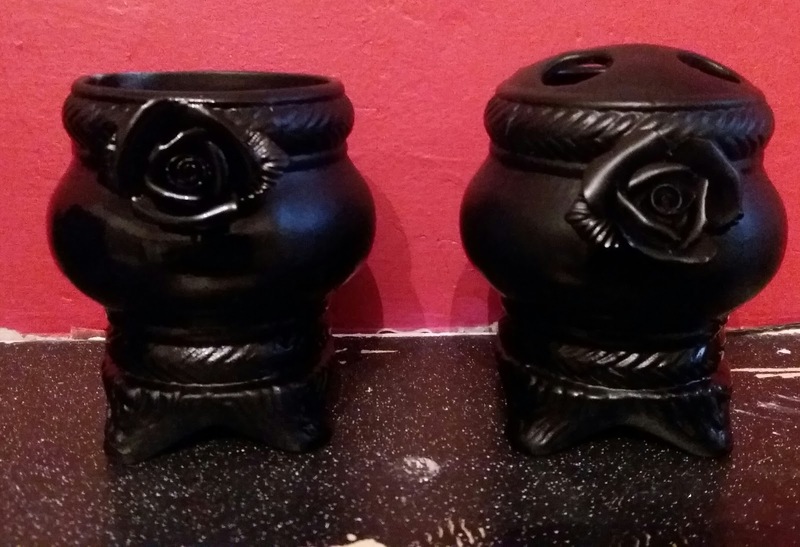 Tales From A Geordie Goth : House Update part three. I was planning to write a life update but then again it would have been all about the development of the house. I've been meaning to finish my post on Whitby but I've been busy will return next week. 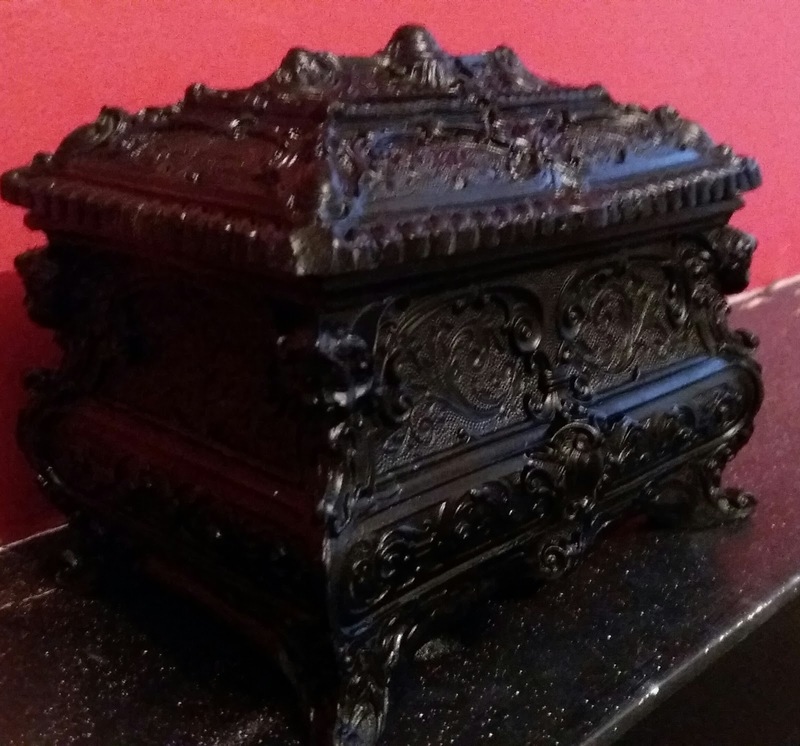 I felt like writing about the progression of Geordie Goth Manor. I remember someone commenting about the house sounding like a manor and since I referred myself as a geordie goth so the name to seemed pretty obvious choice. We're still not moved in as the work is still commencing and things are slowly coming together. The amount of money I've spent in the last month has been insane to the point where I've had my bank's fraud team contacting me regarding the spending. I'm ready for an extreme non-spending detox and cleanse. My finances have been contributions from my saving s I haven't spent on travelling and mainly from the bank of Dad who gave me my inheritance early. I've been wondering where all my money has gone since everything started arriving at least One the biggest unexpected expenditures was replacing the knacked old boiler that was reasonable but still cost quite a bit. It's been a good investment in the long run. Hopefully, we can recoup the money through lower heating bills. When I consider, we now have a three bedrooms, two reception rooms, a stupidly oversized bathroom, a huge kitchen with Victorian proportions. I've finally got a date for my kitchen and bathroom which starts next week. 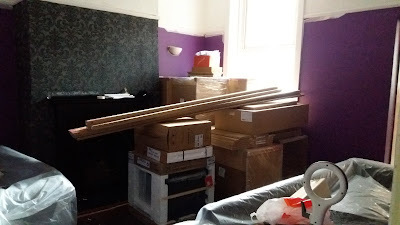 I walked in this afternoon finding everything neatly stacked in the corner of the sitting room ready to be installed. I'm going to avoid the place like the plague with all the work going on. After returning from the Whitby last Thursday I went straight into work I've been busy recdorating the living room for Tuesday . I've opted for an intense purple called Wizard from Wilko's so it's transformed the sitting room making it feel like home. Yesterday, my talented Mam finally did my wallpaper.it actually took the two of us since the wallpaper was so heavy. I think between the two us, well mainly her she's done a fantastic job better than most professional decorates. The money was worth it for the wallpaper as it creates adds an extra something to the room. I love love love it.Want find a stunning mirror to go with it. 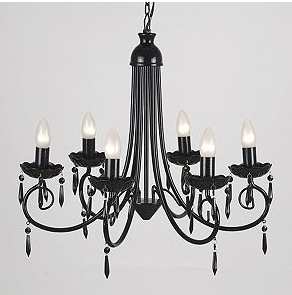 I'm thinking of getting a black chandelier to finish the room off. 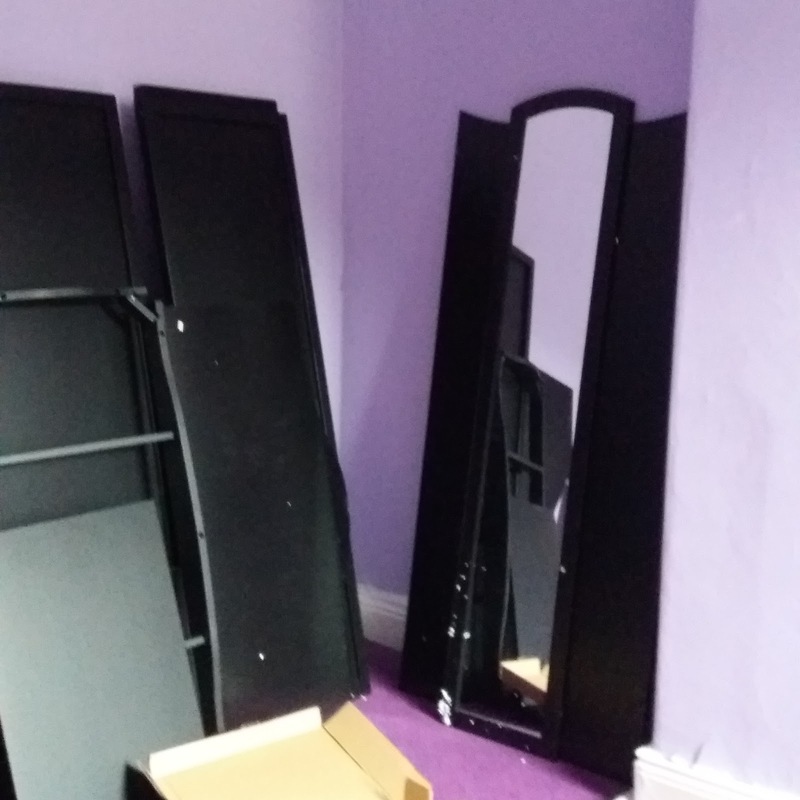 Thursday my wardrobes got delivered and Friday my plum carpet finally got fitted. But I'm unsure if I've made the right choice as it feels way too purple and bit childish now. I'm hoping the black furniture will compensate and tone the room do. Subconsciously, I've taken inspiration from Beauty and the Beast through the colours and objects I've chosen. However, my intention was more of a Versailles, french boudoir style bedroom but in Black and purple. 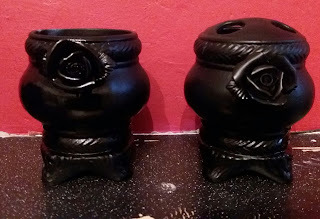 Some charity shop finds painted black. I agree, I love the more darker shades of purple in my dress. I just love lilac for the bedroom but most of my bedrooms have been that colour from being 11. I'm hoping the black furniture will tone the colour down.. The living room has to be my favourite room, but my boyfriend dubious about it. Wow Sarah, it looks amazing. 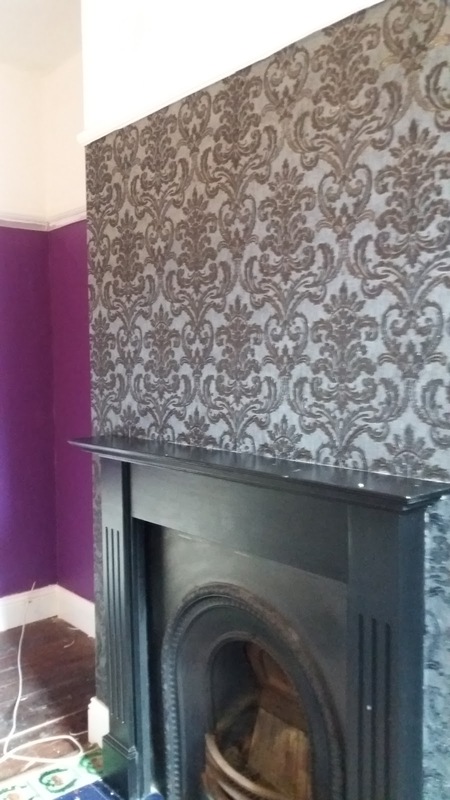 Love the fireplace and wallpaper - your mum has done an amazing job. If you ever want to go salvage rummaging there's an amazing place in North Shields called Kasbah. They have so much stuff it can be overwhelming! Tynemouth Architectural Services next to Tynemouth Lodge pub also gets lovely stuff in though is more pricey. OOO thanks for the advice I'm still after wanting to find something more rocco style for bedside tables but I don't want to spend silly money on them. I'll have check out. Yeap Mam is the one the best at wall papering but I can't do it. Sure I'll ask you would have to cover travel costs though, so it may work out cheaper getting someone local.